If there's one flaw with Panera Bread's beloved bread bowl, it's that there isn't exactly double of it. Luckily, Panera is amending this regrettable oversight by releasing a Double Bread Bowl. What is a Double Bread Bowl? you ask. 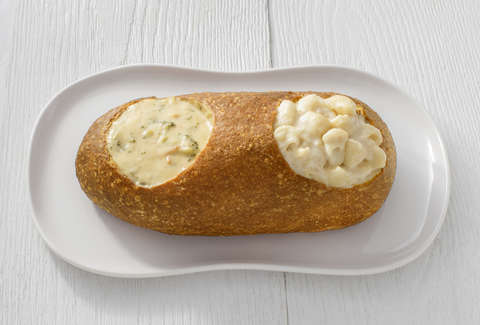 It is a bread bowl, but doubled. As you can see, the problem is solved. 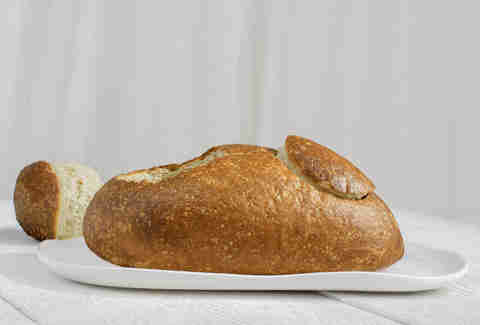 The Double Bread Bowl will feature an entire loaf of bread and two separate, structurally sound bowls, which you'll be able to fill with different menu items, according to a spokesperson for the restaurant chain. For instance, you could have soup and mac & cheese, or two different soups, or all mac & cheese for a carb-heavy feast the likes of which hasn't been seen since the fall of Rome. It's up to you! But unfortunately, there's another problem. For now, this product only exists in Philadelphia between August 5 and August 31. If it does well in its test phase, it'll be rolled out nationwide. So, don't blow this, Philly! It's available to order in the Panera cafe or delivery, but it's probably a good idea to get your steps in if you're going to be consuming something like this. You could also share it with a friend, but that's for quitters.